Just after revealing the specifications ,the Oppo’s sub-brand Realme at last launched its latest smartphone Realme U1 in the Indian market at its fixed schedule as stated recently. 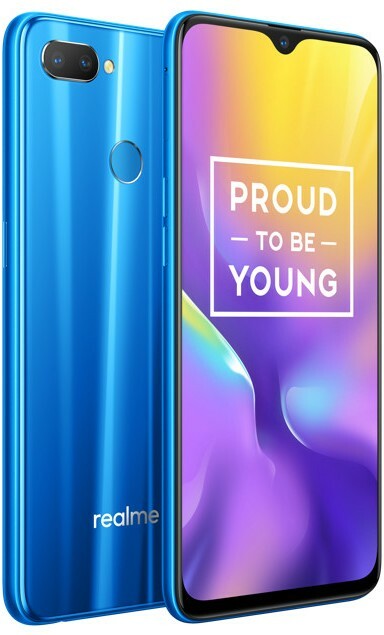 The smartphone Realme U1 with mid-end specifications sports 6.3-inch Full HD+ IPS display with Dewdrop notch (resolution of 2350 x 1080 pixels) ,19.5:9 aspect ratio having Corning Gorilla Glass 3 protection. It has 3GB RAM with 32GB storage, 4GB RAM with 64GB storage, which can be further expandable up to 256GB via microSD card slot. It has dual-SIM functionality,dimension of 157x74x8mm; and weighs 168g. It features a fingerprint sensor on its back. It is armed with Octa Core MediaTek Helio P70 12nm processor (Quad 2.1GHz Cortex A73 + Quad 2GHz Cortex A53 CPUs) with 900MHz ARM Mali-G72 MP3 GPU and runs on Android 8.1 (Oreo) based on ColorOS 5.2. The camera section of the device Realme U1 includes dual 13MP rear camera with LED flash, f/2.2 aperture, 2MP secondary camera with f/2.4 aperture and a front-facing camera of 25MP with f/2.0 aperture, AI, Sony IMX576 sensor. Its 13 layers of Laminated Technology known as Light Pillar Design gives its back a shiny look. Connectivity wise, it features 4G VoLTE, WiFi 802.11 b/g/n, Bluetooth 4.2, GPS and supports 3.5mm audio jack, FM Radio. It is backed up by 3500mAh battery. The Indian users can get the device Realme U1 in Brave Blue, Ambitious Black colors and Fiery Gold colors . The 3GB RAM with 32GB storage version costs Rs. 11,999, while the 4GB RAM with 64GB storage version is priced at Rs. 14,499. The company will make it available from 5th December via Amazon.in . The designer cases of the smartphone will be available at Rs. 499. The device Realme U1 comes with Launch offers including -5% Cashback for SBI Cards , No Cost EMI and also up to 4.2TB extra data for Jio users and benefits worth Rs. 5750.